I moved to East Sussex when I was 9 years old and have lived locally ever since. I currently live in Robertsbridge and run an international sports equipment distribution business in Crowborough. I have been running my own companies for 30 years and have experience in marketing, finance, business strategy and export/import. I am married with two sons who have both attended Heathfield Community College (HCC), one having just completed his A levels & moved on to college & the other in year 12; both enjoyed their time at the school and are progressing well. Outside work, my interests are rugby, motor racing, music and playing bass. I became a Parent Governor in March 2014 with the intention of using my experience to assist in maintaining and improving HCC as a first-class school. 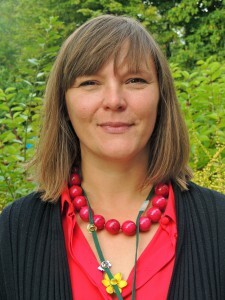 I am a Careers Guidance Professional and work as an Independent Careers Advisor. I previously was the Area Manager for the Connexions Service and worked for Babcock International with a responsibility for education and guidance. I am a qualified youth worker and counsellor. Both my son and daughter were educated at Heathfield Community College many years ago. I am now semi retired but still offering advice and guidance to young people. We moved to Heathfield in 2013 not least because of this thriving school nearby, where my children are now in Years 10 and 11. I grew up in rural Kent and went to school in Tunbridge Wells (TWGGS). After enjoying a gap year in India I went on to study Russian and Politics at Bristol University (BA Hons). My love of languages and travel then took me abroad to work back in India (with the Ladakh Ecological Development Group) and more recently in Turkey, where I married and where our children started their primary school education. I taught English language for some years at the government school in Gocek. I am an Acupuncturist by profession, having qualified as a post graduate in the UK. As parent governor (since November 2015) I welcome the opportunity to support Heathfield Community College during the coming years of transition, with major changes ahead in the national curriculum. I hope to encourage the school to offer inspiration and the best opportunities to all students, whatever their academic ability. I am the link governor for Modern Foreign Languages, and chair the Stakeholder Engagement Committee meetings. 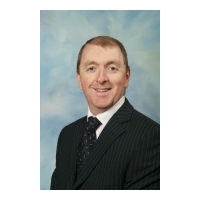 I have been a governor at Heathfield Community College for a number of years and served as Chair of the governing body and of the curriculum committee. I have a particular interest in inclusion and special needs. I am also a governor at the Woodlands Federation of local primary schools. 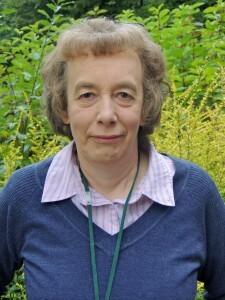 I currently work as a librarian for East Sussex County Council ,covering public libraries and schools. 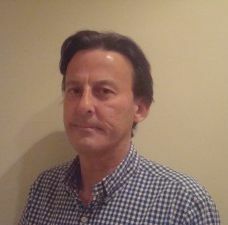 Trevor has been a business owner for the last 33 years and for many years has been involved with local charities and community organisations such as chairman of a local snooker club and snooker league. He has been president of Heathfield and Waldron Rotary club and raised over £25,000.00 during his year as president and is currently responsible for fundraising for the Rotary club and has been Chairman of the Heathfield Chamber of Commerce for many years. 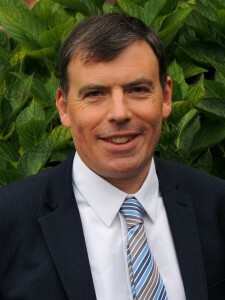 Trevor has also recently become a shop director for St Wilfred’s Hospice and a school governor. 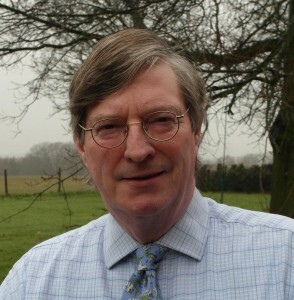 Since 2002 Trevor has been a director of The Heathfield Partnership, a charity that works for the regeneration of Heathfield and surrounding villages. Darrell grew up in Northern Ireland before leaving to study Physics at the University of Lancaster. Since then, with the exception of a few years working in financial services, he has enjoyed teaching Physics and is currently developing the STEM provision at a Grammar school in Kent. 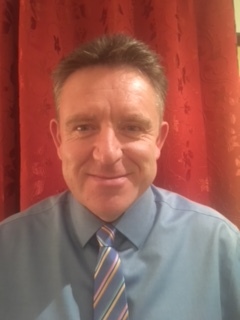 He is also Teacher Network Co-ordinator for the Institute of Physics in West Kent, training and supporting teachers across the region and is an examiner for GCSE Physics. Darrell has lived in Heathfield since 2003 and from September 2016 will have 2 daughters at HCC. Aside from time spent with his family, Darrell enjoys maintaining personal health and fitness, including weight training and cycling and has a love of the Scottish Highlands. Darrell is passionate about education and is keen to play a significant role in supporting HCC in the journey to becoming an Outstanding school. I run my own consultancy and interim management company called Fourscore Consulting Limited. For twelve years prior to this I was Managing Director for Local World in the South East, which publishes newspapers and websites like the Kent and Sussex Courier/across Kent, Surrey, Sussex Hertfordshire and Essex. I have worked in newspapers pretty much all of my career, having started at the age of 19 selling advertising space at the East Grinstead Courier. I was brought up in Sussex and went to Uplands Community College in Wadhurst. Apart from seven years working in the East Midlands I have lived in the area all my life and currently live in Heathfield. I have one son who attended the College for his entire secondary education including sixth form and left in the summer of 2015. I currently have one neice and one nephew who attend the College in Year 8. In my spare time I enjoy spending time with my son and I play the organ at local churches in Ticehurst and Ewhurst. I am actively involved in the campaign to bring a swimming pool to Heathfield. I am the link governor for Media and also Chair of the Governing Body. I was brought up in the New Forest and went to University in Manchester where I gained a BSc in Spanish, Russian and Linguistics. After university I tried many jobs including a brief spell as a tax officer and as a clippie on the buses! I went on to a career in Tourism; managing a business travel agency and finally becoming the National Sales Representative for a business airline. I came to Heathfield Community College in 2001 as a Learning Support Assistant (Special Needs) and was subsequently awarded HLTA status. I have specialised in the field of speech, language and communication difficulties, particularly autism; I am the Specialist Teaching Assistant attached to the Facility. I have two children; both have gone on to University thanks to the excellent teaching and guidance at Heathfield. I am fortunate that my role enables me to have regular contact with our fantastic, hardworking teams of support staff as well as teachers, students and parents. I became a Governor because I am proud of the College and want to help it continue the pursuit of excellence. I grew up in Cheshire, and was educated at primary school there, and then at schools in Hertfordshire and Hampshire, before moving to London working in the insurance business in the City, which I did for nearly 50 years, during which I travelled widely internationally. Having worked for so many years in the private sector, on retirement I was interested to learn more about the Public sector, and was elected a District Councillor in May 2011 for the Fletching, Danehill and Nutley Ward of Wealden D.C. and was re-elected in May 2015. Since then I have served on both the Standards and Licensing Committees, and currently am Chairman of the Audit and Finance Scrutiny Committee, as well as being a member of the Cabinet Advisory Group for Planning overall in Wealden. Education is not a major part of Wealden D.C.’s remit, and with two sons who are themselves teachers, I was interested to have greater exposure to this major part of public sector and was honoured to have been invited to join the Board of Governors of HCC. I have lived in Fletching for 25 years, playing cricket being the magnet that brought us down from London to Sussex, and count music, philately and working my dogs amongst my interests. I was born in Crowborough and also went to school there but have lived in the Heathfield area now for over 25 years. I am married with two daughters currently at Heathfield Community College, in years 8 and 11. By profession I am a management accountant with over 30 year’s experience in the retail sector. I became a governor, as it is an exciting opportunity to join the team and assist in Heathfield Community Colleges journey towards excellence. Originally from Essex (where I taught as an unqualified ‘instructor’ at my old secondary school for a year). I have taught at HCC since 1993 and travel daily from Brighton as I moved there to attend Sussex University in 1988. My husband works as a freelance writer and our daughter, Polly, is in Year 8 at a local secondary school in Brighton. As well as being a Sixth Form tutor I have been co-ordinating PSHE, which includes Citizenship, Careers Education and Work Related Learning since the summer of 2005. I have recently been heavily involved in Careers and Employability Events at the College. I lived in Barcelona for a year in 2001, but still felt the ‘call’ and returned to HCC in September 2002. After gaining a joint honours degree in Mathematics and Physics at London University, I joined IBM and worked in the computer industry as a systems analyst. I moved to customer training and then marketing within IBM before leaving to take up a consultancy contract with Rolls Royce plc. 4 children followed and I became a full-time mum. I had just completed my training to be an ante-natal teacher when my husband’s job brought us to the south in 2000. After completing a joint honours degree in Sociology and Social Psychology at Sussex University and a PGCE(M) from Brighton University, I taught on the Access to Higher Education course at Sussex Downs College, Eastbourne. I retired from teaching in 2015.